Out of the latter, let us expose the following. G.A. Salgado Delgado had been a militant and leading figure of diverse organizations since 2003, among them a student in the circles of the Union of Revolutionary Youth of Mexico (UJRM) and he was a member of the National Preparatory Committee of the 19th Camp of the International Antifascist and Anti-imperialist Youth that took place from around the end of July to the early part of August in 2004. He occupied various offices of the leadership and was a member of the Central Committee of this youth organization for a few years. G. A. Salgado Delgado had become a member of the Central Committee of the FPR as of 2006, and was on the National Executive of FPR until the moment of his assassination. Within the FPR he took up various positions, among them as a member and officer of the Morelos Regional Committee of FPR, which was commissioned partly by the Central Committee so as to attend to work in the districts of Queretaro, San Luis Potosi, Veracruz and Guerrero, etc. The whole country was against the reforms regarding education curriculae in 2008, in so far as what the Movement of Local Councils proposed and the matter rose to a national level. G. A Dalgado D. was entirely and actively dedicated in organizing solidarity with this movement. At that time, he was the object of communications and said to be one the of the leaders of the movement across the Mexican State media, including in a few journals infiltrated by the Central Intelligence and National Security (CISEN), who were investigating him. When more than 40 thousand workers of the Union of Mexican Electrical Workers (SME) were laid off in 2009, he joined the resistence movement in that sector and was supported by several organizations at the national level, among them the FPR in the State of Morelos headed principally by him, Gustavo A. Salgado Delgado. The FPR in Morelos steadfastly supported the struggle of the electrical workers for their resinstatement. G. A. Salgado Delgado supported the struggles by those people enduring the greatest impact in the State of Morelos for the long haul and sparing no effort. For example, he engaged in activities such as the struggle of the community of Huexca against the thermoelectric company installed in that area, the struggle against the aquaduct channeling water from Cuautla, Ayala and other communities to the thermoelectric plant in Huexca. He thereby united all the people in Tlaxcala village and Morelos who were struggling against the “gasoduct” that passed through this region. In March of 2014, G. A. Salgado Delgado was detained by around 7 members of the state police at a peaceful demonstration that was happening just after the municipal treasury of Curenavaca became the focus of an activity carrying the demand of the citizen’s front against the municipality’s excessive collections. The detention happened at the moment when G. A. Salgado D. intervened in a situation wherein the police were urging middle aged women into a police van by pulling and hitting them. Behind that van, a closed van of the District Attorney’s Office followed. The people of the demonstration immediately followed the police and demanded his prompt release without any commission or whatever. Under this pressure and there being no justification to detain him, he was released after 8 hours of detention, washing his hands of any blame that would soil his reputation. The most recent activity of Gustavo A. Salgado Delgado was to involve himself in an organization of migrant workers in eastern Morelos by struggling for the demand for a livelihood. That is how and where he began actively promoting the struggle for the 43 students of the Rural Normal School “Raul Isidro Burgo” in Ayotzinapa, Guerrero to be shown alive. He was also promoting the struggle for New Constituency, the building of the National Assembly of Proletarian workers and the Peoples of Mexico, and the realisation of the General Political Strike of Mexico. Diverse migrant indigenous groups were spreading the demand for a livelihood in eastern Morelos State, that is to say agricultural day laborers, many of whom displaced by violence and natural phenomena that had been wreaking destruction in the communities of la Costa Chica and Montana de Guerrero throughout recent years. Facing the negativity of the state and federal governments with respect to this struggle in those places, the FPR assigned itself the task of raising this demand and requiring better conditions of living, work, and education, and took over an abandoned lot for construction together with him, pressing for the government’s attention regarding these concerns, and thereby installing the Migrant Indigenous people’s Camp of Ayala (located on the Cuautla-Jojutla highway, in front of the Axocoche spa resort). G. A. Salgado Delgado, as representative of the FPR in the state, took on the task of stationing himslef there over the last 4 months of this camp in order to organize and attend to the demands of the families at the camp. His work went back and forth between attention to this camp and the community of Emiliano Zapata (Chivatero) where he was working to get the support of families for the management of FONHAPO with respect to natural resources. Meanwhile, there were some tense moments in the community of E. Zapata due to conflicts between a group with an agency and another group. The first group was creating conflicts and taking over lands designated as a park and chuch property by the community, a situation aboutwhich the Municipality of Ayala and the state governemtn were informed but to which they failed to pay attention. The FPR therefore got involved in creating community forae for the sake of rebuilding cohesion and with the aim of finding a peaceful solution with the help of the agency that was supported by the majority of the whole community. Meanwhile, the police was making periodic patrols at the camp, harassing and questioning G. A. Salgado Delgado and other associates regarding the leadership of the physical space and telling them that they ought not to be there. This was a troubling and serious irregularity since noone aware of the situation has openly given orders for an inquiry or investigation into the reaons for these police actions that appeared to be harassment and intimidation. Throughout his entire path of struggle, G. A. Salgado Delgado was organizing vulnerable groups such as youths for the right to education, workers for better working conditions, communities for the right to a livelihood, as well as the general causes of the right to health and the freedoms to organize, expression and mobilization, for better quality of life and respect for the natural resources of the people; that is to say for the defense of the most basic human rights of the peoples of Mexico. IN SUM, HE WAS KNOWN NATIONALLY AND INTERNATIONALLY AS AN UNRELENTING DEFENDER OF HUMAN RIGHTS. On the day of February 3, 2015, around 7:00 at night, companero G. A. Salgado Delgado left an organizing assembly in the E. Zapata community, known also as El Chivatero and located in the Municipality of Ayala. He headed for the “combi” road that would take him to the Indigenous Camp of Ayala, located 20 minutes from El Chivatero, where another meetingwas awaiting him. He was seen last seen alive at the exit of the meeting in E. Zapata. Approximately one hour later, that is to say about 8:00 at night, indigenous tlapanecos, mixtecos and militant “nahuas” of FPR were waiting for Gustavo A. Salgado D. at the camp aware that he was late and that they could not chair the assembly without him. When they started to phone him, there was no answer, which was unusual because he always used to answer the phone. The lack of response triggered a search. After retracing the path that he would have had to pass in order to get to the camp and after interviewing members of El Chivatero, who said that they had seen him go down with the guide and hearing him taking himself away from the camp, people called his wife around 11:00 p.m. They wanted to know whether he had returned to Cuervavaca. She replied that he had not returned and that he must have been on his way to the camp. That is why they looked for him at the town police station. They wanted to make a report but were denied a missing persons report until at least 24 hours had passed. They then turned to other services (around the bureau of preventive detention), namely the Red Cross and nearby hospitals and health centers to no avail. There was no sign of him. In the course of the first minutes of the 4 of February, the FPR communicated with the Government General Secretary and made reports of his disappearance to several police bodies, considering him a victim of forced disappearance because the companero had been explicit about his route but never arrived, insisting that a search be initiated immediately. However, the responses on the part of the state institutions were negative; none of the three levels of government would take action for G. A. Salgado D. with the argument that they would have to wait until 72 hours had passed for a search to be started. At 8:00 on the morning of February 4, the wife of G. A. Salgado D presented herslef at the District Attorney of Cuautla to register a report of the forced disappearance following a visit to the camp where witnesses had last seen him alive. Due to the disinterest shown by the functionaries of the administration and their slowness to respond, it took over five hours to obtain a search order. Five police officers formed a criminal investigative team around 3:00 in the afternoon and arrived to the Villa de Ayala at the reuqest of community members. 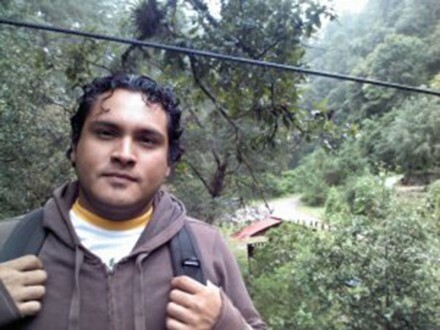 Around 5 or 6:00 in the afternoon on February 4, the PIC (Criminal Investigation Police) of the State of Morelos found the body of Gustavo A. Salgado Delgado, decapitated and with hands amputated, in a gully in the place known as “Las Huilotas” and traveled by the community of Las Piedras, the Municipality of Ayala, and even the State of Morelos, a path passed along and so named by such people that so regularly passed through it that the body was encountered there. Some such people stayed around so as to know whether it was indeed the body of G. A. Salgado Delgado once his wife was asked to confirm it was indeed him by recognizing his physical characteristics, his clothing and accessories. It was on the 4 of February in the district attorney office where a familiar companero of FPR of many years confirmed that the body in question was that of Gustavo Alejandro Salgado Delgado. At dawn on the 5 of February, four persons accused by the local governing authorities as likely being responsible for Murder with Intent against G. A. Salgado Delgado were detained. That same day there were reactions from a political group in Ayala caled “La Semilla” or “the victorious” and they gathered around the district attorney’s bureau claiming that the four were innocent and had been mistreated. This demonstration was headed by Adelaida Marcelino Mateos who was reslponsible for the Official Civil Registrar of the Municipality of Ayala in Morelos, a position designated directly by the Municipal President. In this case, Adelaida Marcelino Mateos was named the person in charge by Jose Manuel Tablad Pimentel, Municipal President of Ayala. This Municipal President immediately removed her from office so as not to allow the municipal government to be seen as the sister of detainees. Right after these detentions, the area district attorney reclassified the case of the discovery of the body of Gustavo A. Salgado D. from a disappearance report into merely a qualified homicide report, saying that the capture took place immediately following the murder, canceling out a case of forced disappearance, which is denial of freedom and/or kidnapping, which was a line of investigation in which interested the administration and ruled out other lines of investigation, thereby excluding other offences, particularly Forced Disappearance, illegal withholding, etc. That reveals its interest to release with minimum punishment, for the most part, of the four persons being processed at that time. There was no interest shown in a full investigation, much less other people involved in planning this crime. The wife of G. A. Salgado D. recognized him by his physical appearance as described previously thanks to the diligence in giving a description using the computer beforehand, and as a good number of archival documents say. A dialogue about this case was struck up with the Government Secretary, Matias Quiroz, and the district attorney for the State of Morelos, and together they committed to opening the lines of investigation into how to provide conditions of security to the family, the members of the organization and community of the Villa de Ayala. They subsequently declined and without further interest in the case, minimized the public report that the community had been harassed. From then until February 25, 2015, neither the family members of Gustavo A. Salgado D. nor our organization, the FPR, had access to the investigation file. The Comprehensive Investigation into various Offences, Team D/471/2015, lies in the District Attorney Office headquarters in Cuautla, State of Morelos. This situation leaves the family of Gustavo A. Salgado D.’s family without defense, and our organization, the FPR, wants people to see the lack of seriousness and attention paid to the case, for example the lack of care for the means of security and protection for the victims and witnesses, not to mention the lack of vigilance as to the acknowledgment of those responsible for the offence, repairs to damages and, above all, to ensure that there is no repetition of such criminal acts. On the other hand, and since the disappearance and assassination of Gustavo A. Salgado Delgado, the heads of the regional and national bodies of the FPR, at least in the Emiliano Zapata “El Chivatero” community and the Indigenous Camp of Ayala, a climate of harassment and inimidation has been initiated by uniformed civilian and military personnel, who have done night time roundsaround the homes of FPR personnel. Even in assemblies lead by Adelaida Marcelino Mateos and Ramiro marcelino Mateos, they have given notice that they are seeking vengence for the detention of their loved ones, signaling to the FPR leadership in particular and soem family membefrs of Gustavo A. Salgado D as objects of their acts of vengeance. The state is precisely informed about this information, and has solicited security reinforcements, without guaranteeing the security of FPR members who are being harassed and the relatives of Gustavo A. Salgado D.
A serious transparent and full investigation until the truth is known and there is justice for the forced disappearance and assassination of Gustavo Alejandro Salgado Delgado. That the Revolutionary Popular Front and the relatives of Gustavo A. Salgado Delgado are permitted immediate access to certified copies of the investigation case file, and immediately appointed a coordinator lawyer for the trial, given that the District Attorney of the State of Morelos has shown disinterest in this case. Guaranties of security for the community of Emiliano Zapata “El Chivatero”, the Indigenous Camp of Ayala (located in front of the Axocoche spa resort), to the militants of the Revolutionary Popular Front, and the relatives of Gustavo Alejandro Salgado Delgado. Let us make the Government of Graco Ramirez and Enrique Pena Nieto of whatever aggression that these persons have suffered, persons who encounter a high degree of vulnerability day by day. Let us solicit the precautions in order to protect the physical integrity and life of all those mentioned in the above paragraph number 3, so that they get justice, truth, reparations and, above all, so that there is no repetition of such criminal acts against them. To the national and international organizations for the protection of human rights: using your external means, get the Mexican government to acknowledge the gravity of these facts and insist that the Mexican government accept delivered requests. To the national Commission on Human Rights and organizations for the protection of human rights among the federal entities, we ask: using the breadth of your capabilities, encourage the executive of the State of Morelos and appropriate human rights organizations within the State to take the necessary means to guarantee the investigation into the offence committed against the activist, Gustavo Salgado Delgado. To civil society organizations, non-governmental organizations and defenders of human rights in general, we make this appeal to you. Take up the present urgent call for action in solidarity and use every possible channel of communication to put them into motion to spread awareness of the disappearance of the activist, Gustavo Salgado Delgado. Unity of all the people for proletarian emancipation!